Lamanoc Island is located in Anda, Bohol. Lamanoc is touted as the Cradle of Anda's Civilization, displaying the beauty of unspoilt nature and rustic history and culture of early Andahanons. Why Mystical Island of Lamanoc is special ? Lamanoc Island is located in Anda, Bohol Province. Lamanoc is touted as the Cradle of Anda's Civilization, displaying the beauty of unspoilt nature and rustic history and culture of early Andahanons. Lamanoc Island is known for its lush vegetation and tall limestone cliffs. According to the folklore, the name Lamanoc was derived from the practice of shaman in preparing for their rituals in Lamanoc Cave. They usually bring native chicken (manok) as the main offering to their gods. This practice still lives on until now. A trip to the Lamanoc Mystic Island provides you with a glimpse of limestone rock formations, caves, and secluded white beaches, which is accessible via the main town of Anda. What to explore at Mystical Island of Lamanoc? Lamanoc Island is full of history (with the native inhabitants and early Spanish explorers) and mysticism (with stories of ghosts and witches). The Lamanoc Mystic Island trip is not only a trip for seeing different kinds of plants and animals but also takes you on a trip to the island’s mystical history. It is believed that during pre-colonial times, Lamanoc served as a holy spot for local priests and medicine men to make offerings to nature spirits. These mystical creatures were often called upon for bountiful harvest or a good catch. Some of the caves here served as a burial place, so inside you can find the remains of several wooden lungon or boat coffins, so called because they have been from a dug-out log, similar to the way boats where made, and old earthenware jars. How to get to Mystical Island of Lamanoc? 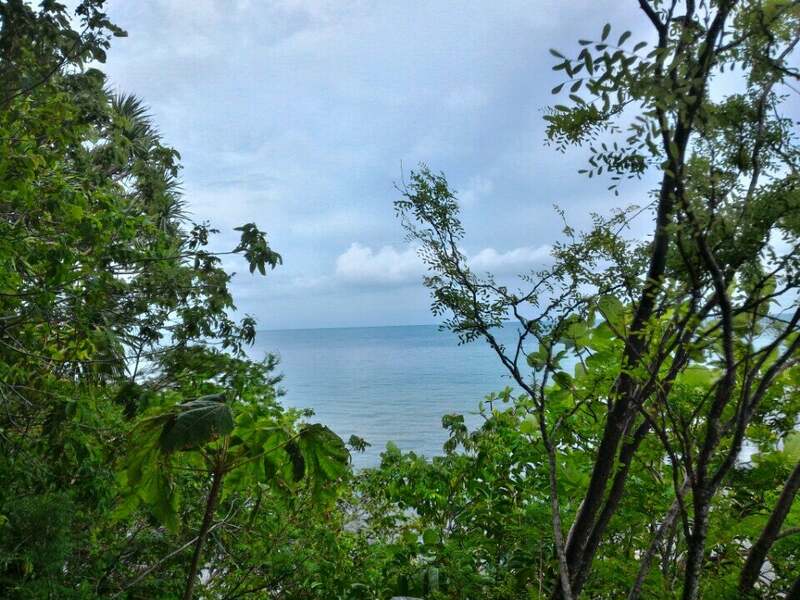 Located 100km from Tagbilaran City, Anda is two to three hours away by bus or van. Tricycles can take you to the jumping off point to Lamanoc Island at Badiang, roughly five kilometers from the town center. For convenient, it may be more practical to rent a car with driver from the city, especially if you're travelling in a group. Allot two to three hours for the island tour. On the island a small information centre will arrange your tour, which involves walking and canoeing through caves to see these ancient rock paintings as well as old dugout coffins and fossilised giant clams. This place may not be appropriate for younger children, as there are artifacts and places that should not be played with, and kids might get bored with the history lesson. When the tide is low, it’s possible to wade in the water and reach the island on foot. 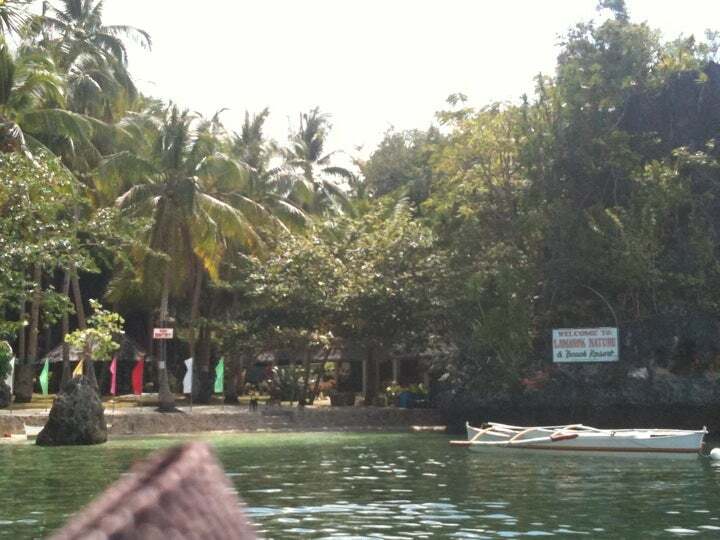 During high tide, you may reach the island via bankas. The tour starts on a long bamboo dock, which leads to a large mangrove forest. Don’t walk too fast here, and take some time to study the fascinating roots of these trees, and try to spot some animals that are hidden within these mangroves. While visiting the island, you are asked to respect the sacred site by keeping voices low and avoid horseplay, unless you want to disturb the spirits that reputedly reside on the island. The rocks on the coast are very sharp so wear good shoes (no flip-flops), but the paths are well crafted. An unusual attraction that you will find here is a giant clam shell embedded in one of the rocks which proves that these formations have rose from the sea in the past. Ask your resort driver in Anda to take you to the Lamanoc Island site. You'll take a short work on a bamboo path over a mangrove to the ocean and then it's a relaxing boat ride to the island. Be sure to go at high tide, otherwise the boatmen need to walk! The rocks on the coast are very sharp so wear good shoes (no flip-flops), but the paths are well crafted. The 45-minute walk around the island with your guide is great for nature and history. Many of the artefacts have suffered somewhat, whether from World War II or tourists, but you still sense the religious significance and power of the sites. Everyone is very helpful and it's scenic and not crowded.